Spiritual Bars – The Album will be Released on September 18, 2018. The album will feature 13 tracks by GIN plus special appearances by Mystic Butterfly, Komo Sarcani, Sullee J, BDM and Chris Cape. The inspiration for Spiritual Bars is to bring back the lyricism in hip-hop which is currently lacking in today’s culture. Spiritual Bars will be available through Itunes, Spotify and Bandcamp. Support Independent Hip-Hop and Buy the Album. Stay Tuned for the upcoming video The World by female hip-hop artist GIN feat. Komo Sarcani. The single will be on the upcoming Spiritual Bars Album set to drop on 9.18.18. The album features 13 tracks dedicated to lyricism and keeping the authentic art of hip-hop alive. Gin got her start in the music industry as a promoter, booking agent, and as an artist. Being born and raised in Los Angeles has allowed Gin to understand the true origin of hip-hop and create powerful verses with a strong passion for the industry. As of 2010, Gin created and developed GSBookings, which is a promotional and booking company to help promote artists and secure placements via shows or song features. GSBookings has become the vehicle to assist in promoting artists and shows. Gin’s knowledge of the music industry and personal developments has enabled her to focus on her own project which will showcase 12 tracks. Spiritual Bars EP is a mixture of underground hip-hop and trap. Gin is a multi-talented and highly educated woman who is not afraid to take the responsibility of being a positive role model for this generation. New Single “Mowgli” by GIN coming off the Spiritual Bars EP. The track is now available on Tidal, Amazon, Deezer, Spotify and Itunes. Check out the track and support Independent Music. New Track released by Gin, titled “Be Free” off the upcoming Spiritual Bars EP coming out soon. The track features vocals from Anita Blunt and is an uplifting motivational hip-hop track infused with some house vibes to help the get the message across. Spiritual Bars is a mixture of underground hip-hop and trap. And will feature artists such as Mystic Butterfly, Sullee J, Komo Sarcani, Beast Da Maharaj (BDM) and Chris Cape. You can check out “Be Free” via Youtube as well as on the GSBookings Mixtape Volume 2. Be Free is also available on Itunes, Google Play, Spotify and all other Music outlets. I am so thankful and blessed with the positive responses I received with my. EP Dream Getting. I appreciate the downloads from Japan, Germany, Belarus, South Africa, U.S and so much more. i am happy to announce I am working on a new project which is projected to be released next Spring. I am in the process of selecting beats and putting it all together. I have been spending time on the East Coast…NYC in particular and new developments in my life have motivated me to take it to another level. I look forward to sharing this journey with you all soon. LOS ANGELES, CA – This summer, the Cali music icon is back and the leader is hip hop superstar, Gin. Gin made huge waves in the rap game last year with her debut EP, “My Lyrical Expression” and she is now announcing the release of her newest project “Dream Getting”. 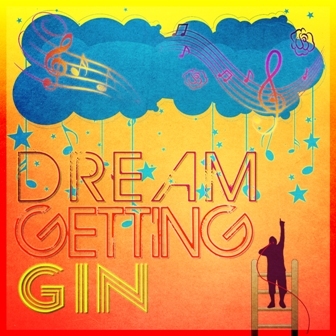 “Dream Getting” is her latest EP that will provide the same funky beats and thoughtful lyrics that the fans have come to expect. Gin has built an International fan base with the understanding that today’s hip hop fans want quality not quantity when it comes to music. Unlike most artists, Gin would rather release two amazing tracks than, twenty average tracks, and that’s exactly what she’s done. The first track on the EP is “The Greatness” which features South African sensation, Chris Cape and Los Angeles Rapper, Phil the Agony. This cut has an old school feel with a message that every generation can relate to. It’s uptempo beat and hard hitting lyrics are sure to put it at the top of everyone’s playlist. Secondly, is “Chocolate Factory” which features artists such as Turbin (GCM) and EQ from North East Los Angeles. This track is by far Gin’s most vulnerable. She opens up her soul and lets the listeners in. In addition to being an artist, Gin also has a strong reputation as a music executive through her company, GS Bookings. Her agency has helped countless artists and legends such as Ras Kass and advance their music career. Dream Getting EP Releases July 2nd! Due to the success of My Lyrical Expresion EP it will also be available as a free download via bandcamp. The single “On My Grind” which features Zoolay has a video and will be released on July 2nd!! Check out the new artwork! !